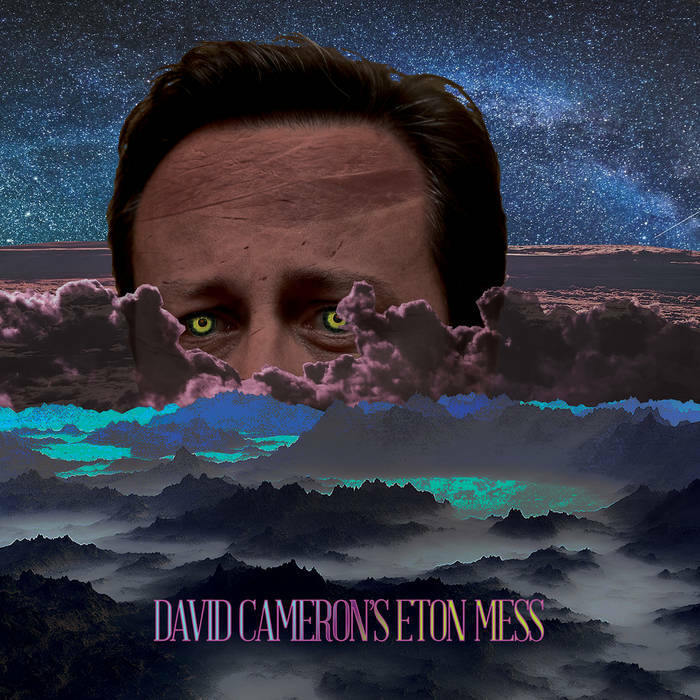 David Cameron's Eton Mess is my Friday delight. No, I don't take any pleasure in the mistakes, deliberate and accidental, inflicted on the UK by Cameron and his cohorts. I'm speaking about this absolutely delightful collection of emerging Scottish guitar bands complied by Matthew Young of Song By Toad Records. The bands are young, many are friends, and some share musicians with other bands (such as Alansmithee and Andrew R. Burns & The Tropicanas). There is dream pop, punk, surfy noise pop, alt rock, fuzz, dreamslop, slacker pop and just about anything else you could want. And you have to regard it as a snapshot in time. Some of these bands will still be going and growing in a year, and some won't. But this is a moment in the indie sun for them, and you should take advantage of it. Oh, I should mention that there is no overriding political theme here. It seems the title of the release was just a convenient way to take a shot at Cameron, Eton and the mess. And to provide a pithy title. Nothing wrong with any of that from our perspective. You can stream the entire compilation at the Bandcamp link below, and I encourage you to do so. Towards the bottom of the Bandcamp page there are links to the featured bands, so you can explore more deeply those that interest you. However, for those in a hurry, I've embedded a few gems below. We last featured Melbourne's SMILE in 2013 when they released their debut album Life Choices (link). We were won over by the band's sun bleached psychedelic pop and relaxed vibe. Sophomore album Rhythm Method will arrive in early 2016, but SMILE is offering a taste with "Boundless Plains To Share". Thematically, the song addresses the refugee crisis, pointing out the vast spaces available in Australia. Musically, it seems to herald a bit broader and more muscular atmosphere that its predecessor. Perhaps psychedelic pop meets '90s alt rock, and that can be a good thing for our ears. SMILE is Pete Baxter, Max Turner, Josh Delaney and Liam Gough. Their label is Smooch Records. Throbbing post punk with spiky, angular guitars, stuttering rhythms and talk/sing call-and-response vocals -- are you in? You should be. East London's Shopping is one of the unsung gems of the London scene, and their excellent new album, Why Choose, is well constructed and eminently danceable (check out "Straight Lines" below). With the bass leading the way on many tracks, this album has a deep grove to match its edgy, twitchy vibe. Fans of The Au Pairs, Gang of Four, and The Slits may take to this sound most readily, but frankly I can't see anyone who likes danceable rock not loving this album. I liked their 2013 album Consumer Complaints, but Why Choose seems to me to be a big step forward -- more polished, but not glossy, and with better developed song structures. Most importantly, it retains and improves the band's ability to deliver incredibly taut songs, bristling with energy and urgency and packed with hooks. Shopping are Rachel Aggs, Billy Easter, and Andrew Milk. Why Choose is out now via FatCat Records. The band currently is touring North America. Check out their Facebook page for dates and locations. 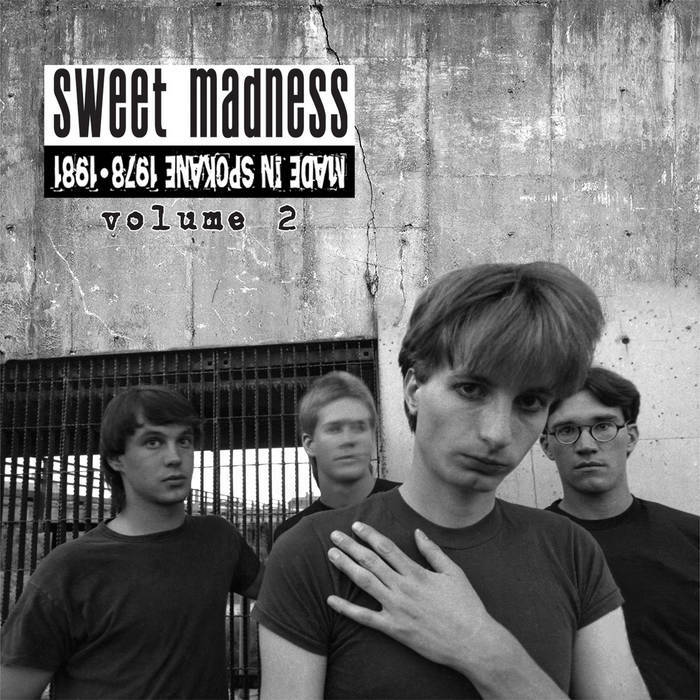 In late June we featured the sweet sounds of Spokane, Washington's Sweet Madness (review here) upon the release of the the second compilation of their work, Volume 2 Made In Spokane 1978-1981. When music is that good, we are happy for any opportunity to feature it again. Our chance to do so comes via this video for album track "I'm Not Vicious". My goodness -- this is great stuff! Melbourne's Zone Out was a band, then it wasn't a band, and now is a band again. Reformed by Ashley Bundang, of other projects Totally Mild, Sui Zhen, and Ciggie Witch, and Dove Bailey of the very noisey (and completely wonderful) Scotdrakula, they have released the "Inside"/"So Bright" single via Deaf Ambitions. The digital is available now, and the vinyl is expected to be available next month. You can stream "Inside" below. Ashley's delicate and perfectly phrased vocals float over unassuming by richly detailed production. I'd like to hear much more of this, so I was happy to learn that Deaf Ambitions will be releasing a full Zone Out LP in 2016. Deaf Ambitions page for "Inside"/"So Bright"
Every long-time music fan has a list of bands that should have been better known, and given my focus on lesser known bands my list grows longer every year. But near the top of my list is Paisley, Scotland's Close Lobsters. The band often is associated with the C86 bands because they were included in the seminal compilation. But like the Wolfhounds, they were playing in a different playground. Yes, the guitars jangled. But they, and the choruses, also soared to the rafters and were sturdy enough, and at times demanded, the sort of volume that one expects with indie rock and college rock outfits. The rhythm section had more heft and bounce than the average C86 output. And then there were the lyrics -- consistently intelligent and well constructed. Moreover, unlike The Smiths, who gathered a larger fan base in the jangling end of the spectrum, Close Lobsters' lyrical content wasn't focused on sharing the band's tears or causing you to shed some of your own. In my view, in the late '80s they were the perfect guitar band for intelligent, well adjusted fans, which of course describes me down to my last button. Formed in 1985 with Andrew Burnett (vocals), his brother Robert (bass), Tom Donnelly (guitar), Graeme Wilmington (guitar), and Stewart McFayden (drums). 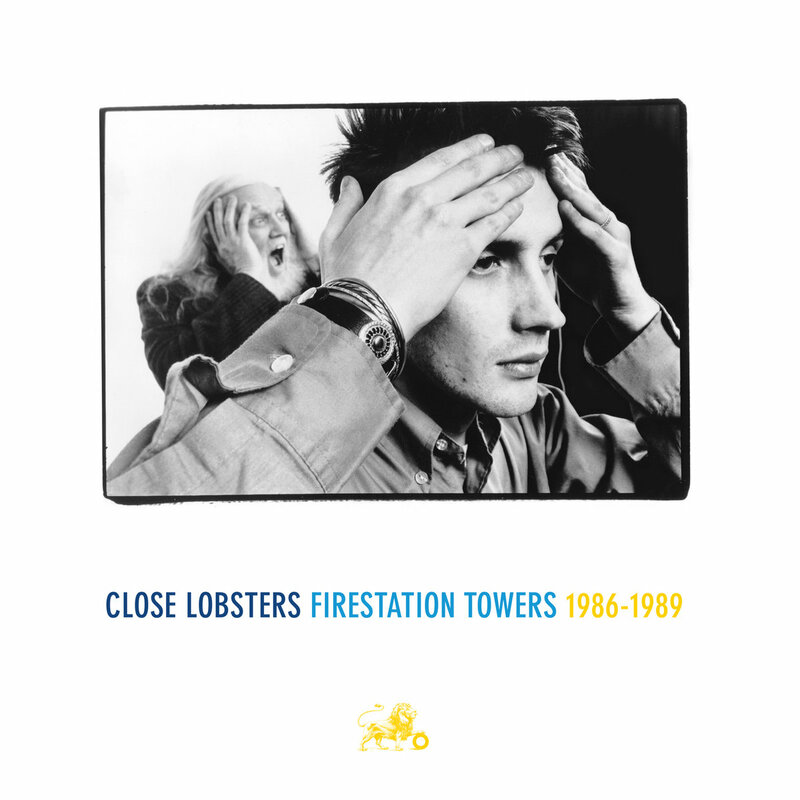 "Firestation Towers" landed on the C86 comp, and Fire Records released the band's first single. During their first active period as a band Close Lobsters released two albums -- Headache Rhetoric and Foxheads Stalk This Land -- and a number of singles. Fire Records has assembled both LPs and the singles, b-sides and rarities, which previously were available on Forever, Until Victory! The Singles Collection, as a three-CD box set titled Firestation Towers 1986-1989. There probably are other arguments for obtaining this set, but the most important one is that this is really terrific guitar pop, with no weak songs, and you'll want to listen to it until you no longer have working ears. If my desert island list is allowed to have box sets, this one is on it. I would be remiss if I didn't mention that Close Lobsters never broke up. They did take an extended hiatus, but returned last year with an excellent single for Shelflife Records, and I believe they are working on more new material. That makes me a happy man, indeed. But until the new songs are available, I need Firestation Towers 1986-1989 in my life. One of the pleasures of listening to pop music is finding a band that has a clear vision of the sound they want to produce, and the ability to deliver that sound. When it is a sound that you like, the pleasure is sublime indeed. For me ears, The Shifting Sands, from the south island of New Zealand is such a band. 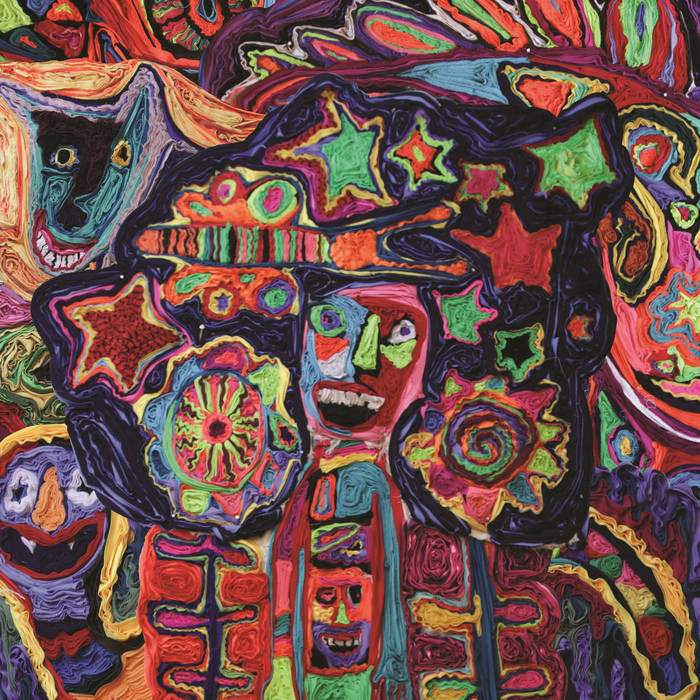 Their new LP, the appropriately named Cosmic Radio Station, is a ten-song tapestry of note perfect psychedelic pop, featuring intricately layered guitars, fuzz, feedback, melody, drone, and airy vocals. While staying within the psychedelic channel, the band is adept at changing pace and emotional space, resulting in an album that evokes the namesake breadth of the cosmos. The three songs I've provided below, triumphant album opener "Waiting For The Sun", the sparkling "All The Stars" and the chugging "Should Be Better" -- provide but a taste of the goods on offer. Other highlights are the thick psychedelic drone of "Making It Through" and "Abstract Objects", "Coming Back" (with David Kilgour of The Clean and David Kilgour and the Heavy Eights on guitar) and "Whareakeake". The latter, a short instrumental, presumably named after the surf beach near Dunedin, currently is song on the album I'm most inclined to repeat. For fans of psychedelic pop, like me, this is an inspired album. From where did the inspiration derive, from the cosmic radio station, of course. And this album translates it very, very well. The Shifting Sands are Mike McLeod (guitar/vocals), Tom Bell (bass) and Jake Langley (drums). The trio run and allegedly haunted music venue called Chick's Hotel in Port Chalmers, which is near Dunedin. Able assistance on a couple tracks is provided by David Kilgour on guitar and Alex Vaatstra on violin. Cosmic Radio Station is released by Dunedin label Fishrider Records, which not only performs a wonderful service in exposing the music of the south island to a broader audience, but has excellent and varied taste, as demonstrated on the label's Bandcamp page. UK fans are advised that Occultation Records will have copies of the album later this month.